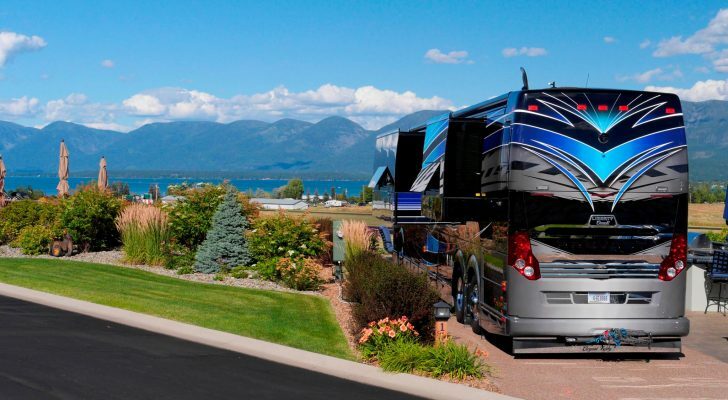 Campers are not just for camping. 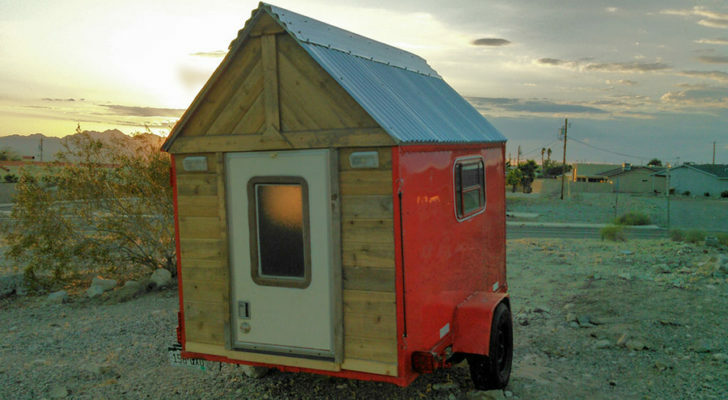 These vintage-style trailers and vans allow restaurant and clothing shop owners to make money with very low overhead. Summer is the time to head out into your city and visit local food trucks, mobile vendors or ice cream vans on wheels. 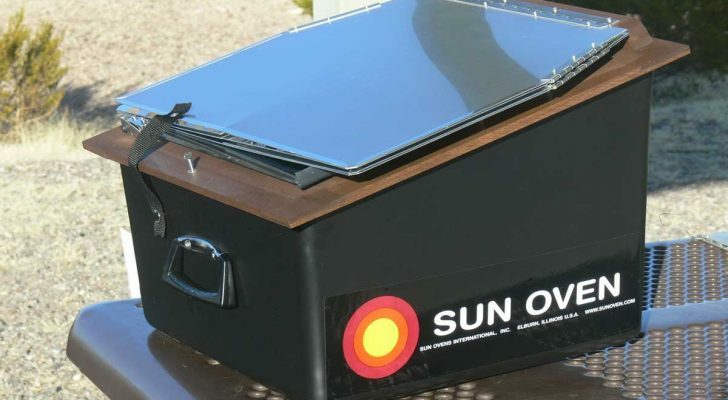 More and more shop owners and entrepreneurs are heading to the streets to sell their clothing, vinyl records, CDs, homemade baked goods and healthy food – straight from converted campers! 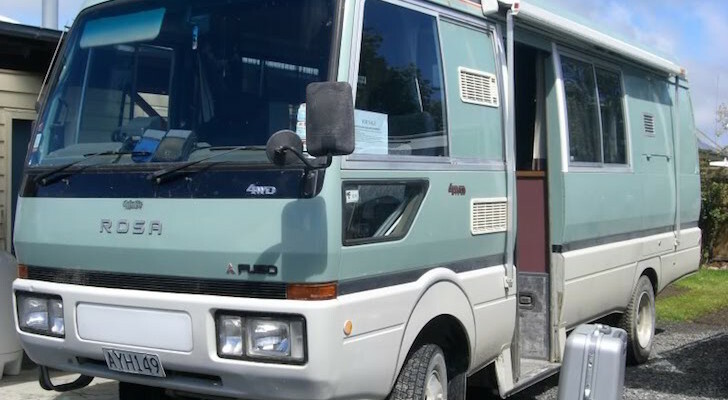 To attract attention, they’re selling their wares out of colorful, vintage and beautifully restored campers, vans, buses and trailers that are sure to bring in the customers. 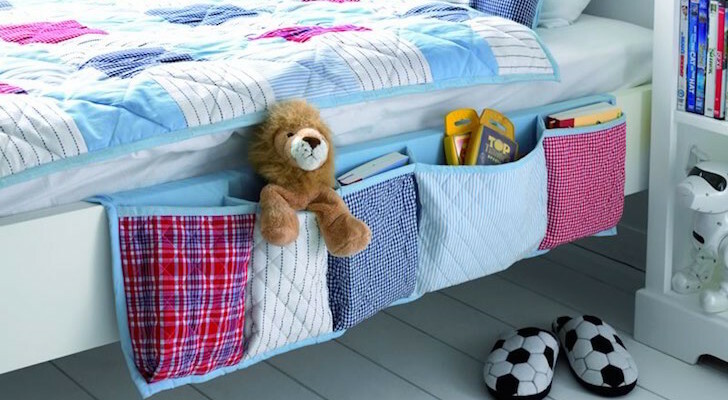 Not only are these campers stylish and cute, but they usually end up being less expensive than a brand new food truck or a brick and mortar store. 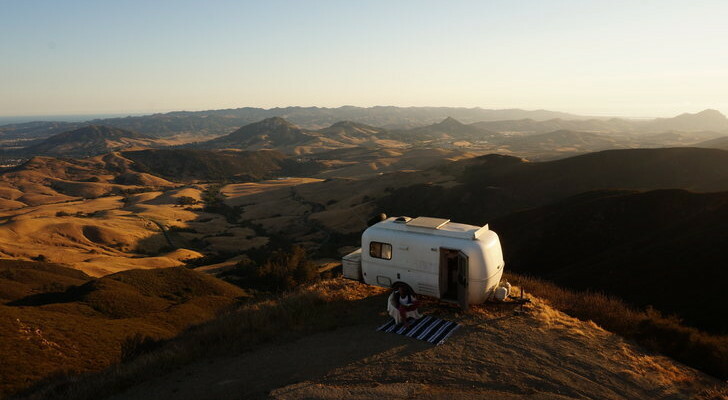 Here’s five fantastic mobile businesses operated out of vintage campers we thought you’d enjoy. 1. The Raw & Juicy juice bar fits neatly in a 1966 Airstream. In the city of Seaside, Florida, Airstreams have become part of the landscape. These aluminum land yachts were used by architects who built Seaside’s charming homes and the old campers never left. Now the Airstreams have become independent vendor spaces for ice cream, hot dogs and healthy food. The Raw & Juicy restaurant—located in a 1966 Airstream Safari—serves organic, raw food and fresh juices. 2. The “Myrtle & Mae” Traveling Cafe is a 1950’s reproduction. 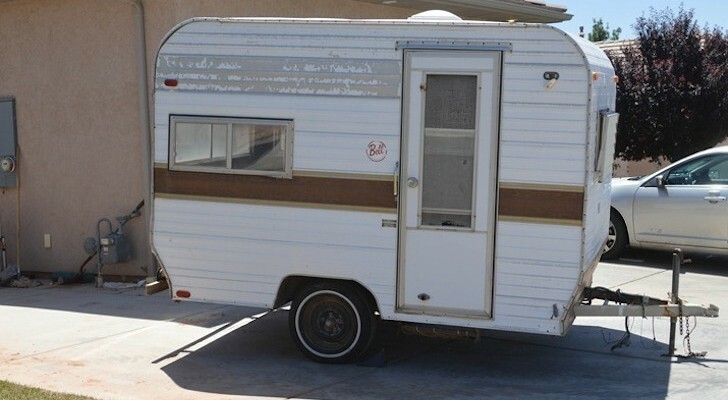 The “Myrtle & Mae” trailer looks vintage but is actually a 1950’s reproduction of a Woody caravan. 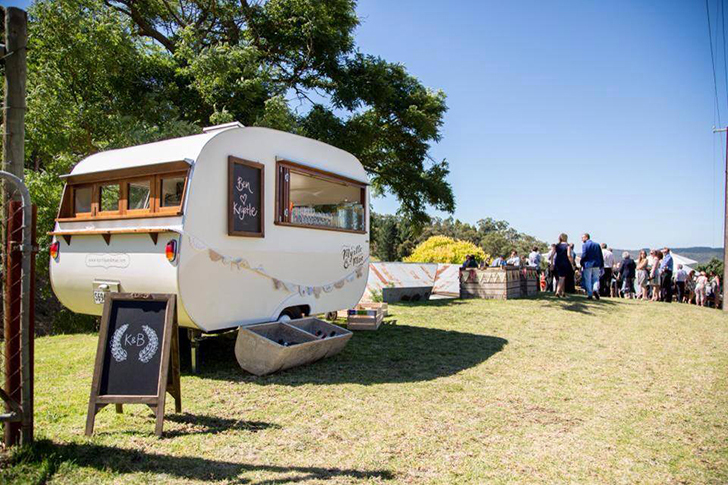 The traveling cafe in Queensland, Australia offers coffee, treats and catering for both private and public events. 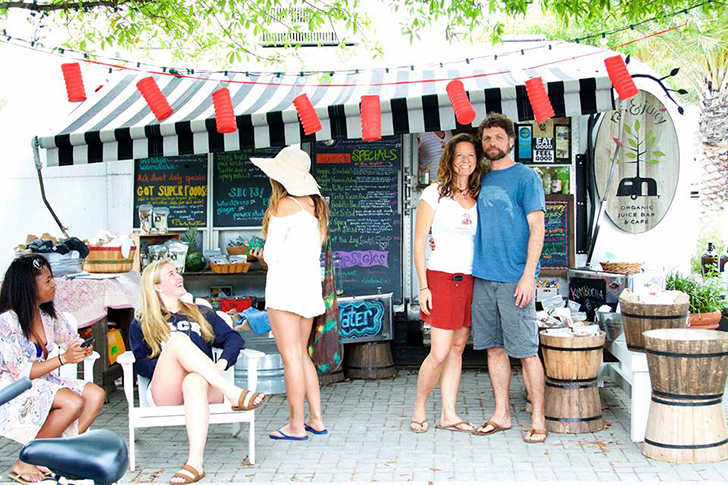 The owners dish out local, seasonal items like chicken skewers, berry bars and ice cream. 3. 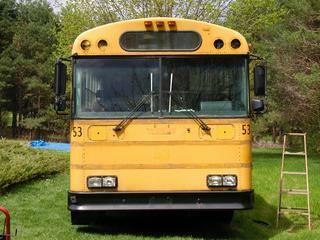 Unmistakable Vintagemobile Clothing Store located in a former school bus. 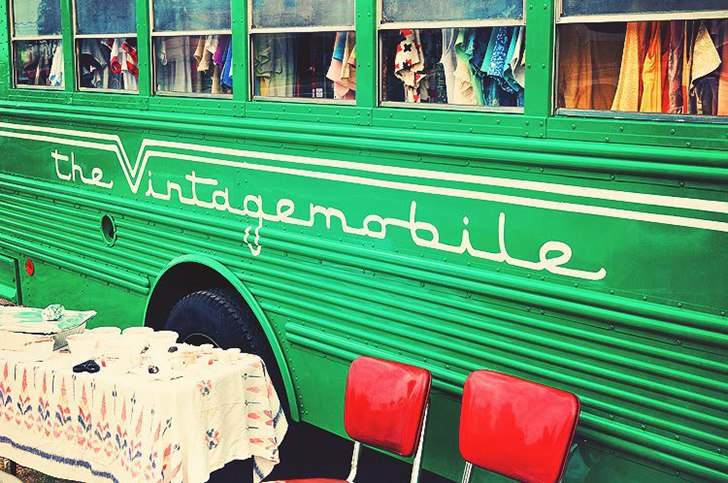 The Vintagemobile is a former school bus converted into a vintage clothing store on wheels. The bus roams the streets of Dallas selling clothing and accessories from the 1950’s to the 1980’s. One of the original bus seats was saved so shoppers can sit down to try on vintage footwear. The owners, Jeremy and Kelsey Turner, wanted their store to be representative of their city, and also environmentally friendly. 4. The Biggest Little Fashion Truck founded by a stylist/mechanic. The Biggest Little Fashion Truck in Reno, Nevada was once a nondescript moving van, but it’s been tricked out into a funky fashion store! Owner Vinnie Lucido is a skilled mechanic and designer who loves to bring fashion to the “Biggest Little City” with his costume designs and fun accessories. 5. De Donutfabriek (The Donut Factory) was built out of a 1974 BIOD. This mint green spaceship is actually a fiberglass BIOD (Better is Our Motto) camper from 1974. 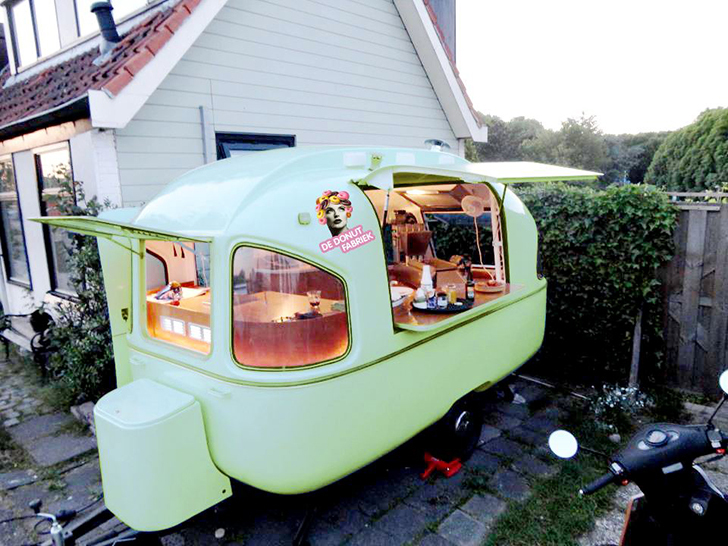 The Donut Factory of Holland restored the trailer and created a stylish donut and coffee shop that serves mini donuts at organic markets and fairs.